Golf bags are all pretty much the same. As long as they hold up well, offer a decent bit of storage, don’t weight too much, and hold all of your clubs comfortably, anything will do. Most bags these days meet all of that criteria. However, not all bags are under $100. Heck, most of them are $150 or more. If you always walk, I’d try to go with the lightest bag that you can. If you always ride in a cart, I’d recommend you find a bag that comfortably fits everything that you will ever need at one given time. Other than that, just make sure you get a name brand bag. Off brands are not tried and trued within the golf industry. They might break or not be exactly as shown in the pictures. 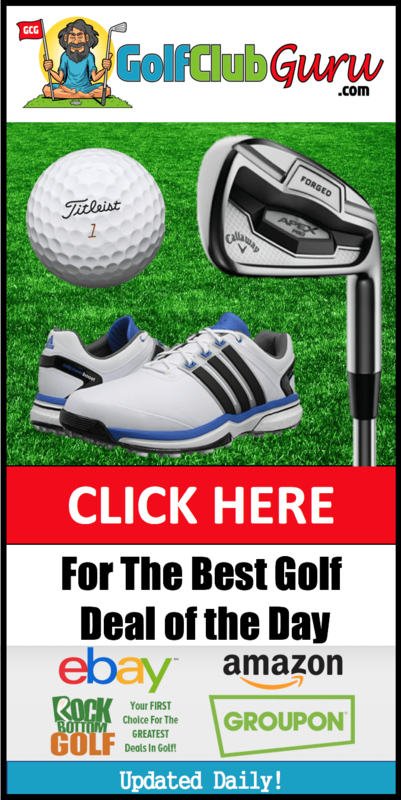 All of the top brands like Titleist, Ping, Callaway, Srixon, etc. make a low budget golf bag. Even those low budget bags tend to be a decent bit over $100, though. 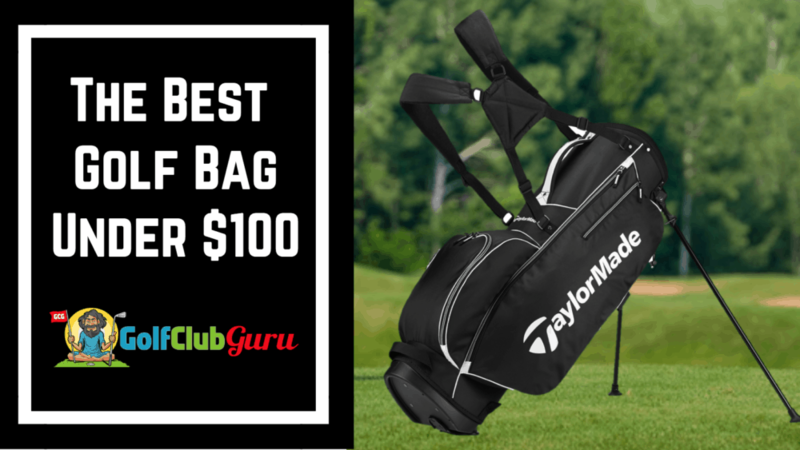 TaylorMade’s bag is consistently under $100, and it has incredible reviews. 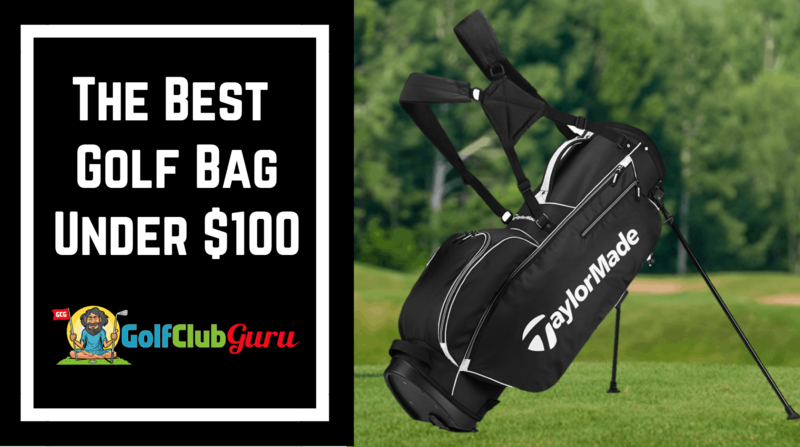 This TaylorMade TM 5.0 bag weighs just 4.1 pounds, which is definitely on the lighter side, even compared to other walking bags. Once you get into sub four pounds bags, you tend to not have enough storage or the bag is made with very low quality materials. This bag comes in 6 different color schemes. The standard black bag with white writing is my favorite one personally. It is a very professional looking bag, looking very similar to Ping Hoofer bags (the most popular golf bags on the market). Black is my personal favorite because it will stay the cleanest looking. White is also a great looking bag, I just think that dirt and wear would show easier. For cart riders, you are not as focused on the weight of your bag. You will only be carrying it from your car to your bag, so you can deal with a little extra weight. You want to be more so focused on storage room. Ideally, your bag should be able to carry everything you might need in one day. For example, on the worst day, you might need your umbrella, your rain gear, extra gloves, lots of balls, extra towels, maybe a small training aid, tees… you know what, maybe you should just check out my article on all of the necessary golf accessories that you will need eventually. Obviously, you also want to pick a good looking golf bag, as well. This bag has 5 different color combinations. Again, you can’t go wrong with the all black one. Although Maxfli is not a huge brand in golf, the reviews show that this is a very high quality bag. I’ve never had a cart bag personally, as I prefer to walk. However, the reviews definitely speak for themselves. It appears to be a very sturdy bag, and you can tell by looking at is that it has great designs and plenty of storage room. This Maxfli Honours cart bag has 14 dividers for all of your clubs, and it also includes 10 zippered pockets. The company description says that it is 4.5 pounds, but I wouldn’t be surprised if it is actually more than that. That seems a little light for a cart bag. If you are a huge sports fan and want to show your support, consider getting a golf bag decked out in your team’s logo. These bags are typically made with slightly cheaper materials, so it probably won’t hold up as long as other bags. However, it it will be a great talking point for golfers in your group. Whether you want a stand bag or a cart bag, this NCAA golf bag on eBay offers lots of different teams and options for college sports fans. If you want a different sports bag, consider typing in something along the lines of “MLB golf bag”, “NFL golf bag”, etc. 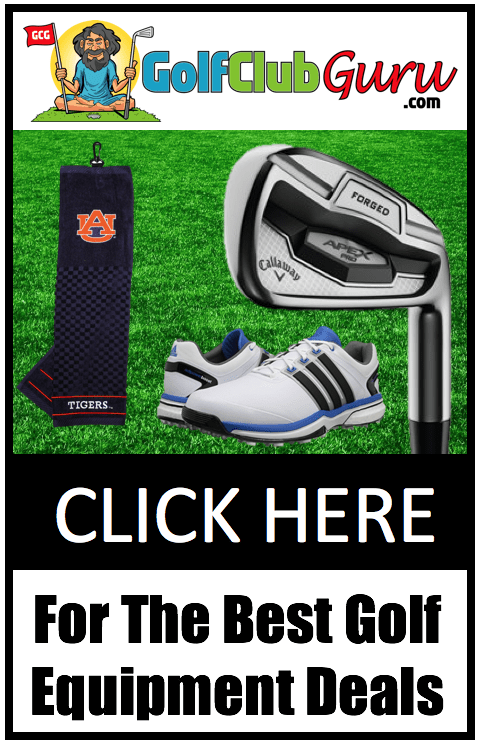 Or just type in your sports team, like “Auburn Golf Bag.” It might not end up being under $100, though. Hi there, i read your blog occasionally and i own a similar one and i was just curious if you get a lot of spam comments? If so how do you stop it, any plugin or anything you can suggest? I get so much lately it’s driving me insane so any assistance is very much appreciated.